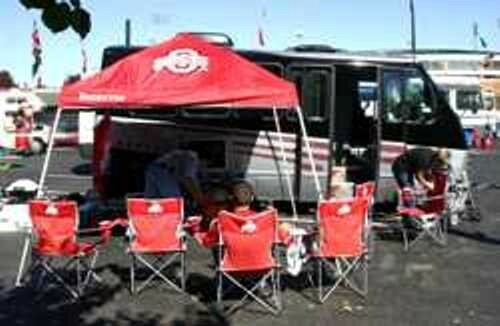 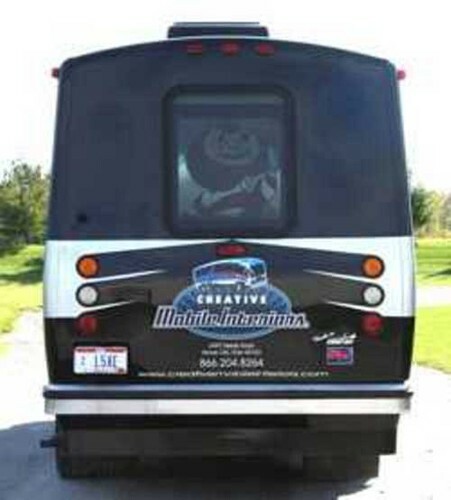 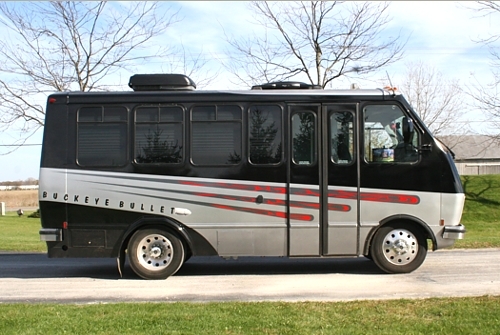 After years of building tailgating vehicles CMI finally has its own tailgating machine dubbed, The Buckeye Bullet. The very rear window is a custom Brutus the Buckeye stained glass window. 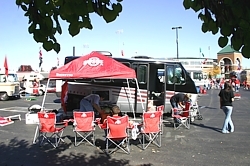 A large scarlet and gray U lounge with either an extra seat or a cocktail table supplies plenty of seating. 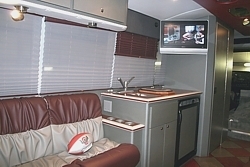 The bathroom is decorated in Buckeye paraphanellia and also has a 15” TV in the restroom. 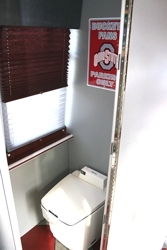 OSU paraphernalia adorns the vehicle including a showcase for bobble heads. 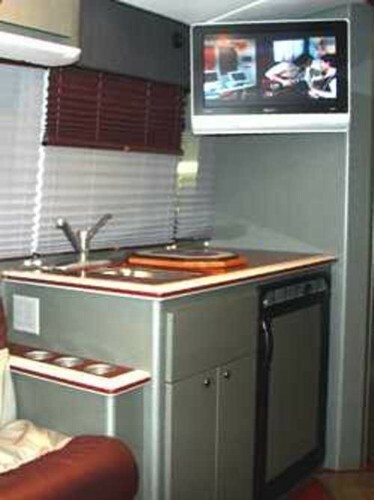 In the tradition of all tailgating vehicles there are plenty of televisions all hooked up to a satellite dish, including two 27” LCD. 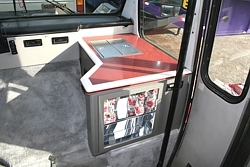 And everything is powered by a 6500 watt generator. 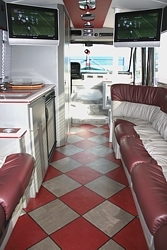 Corian counters, checkered diamond pattern Centiva flooring, and even the shades are all scarlet and gray. 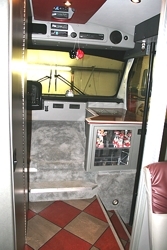 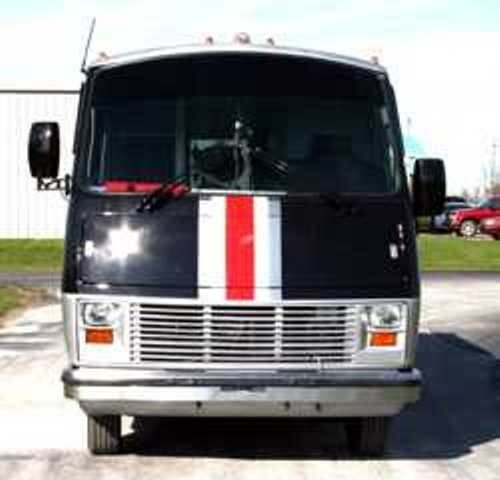 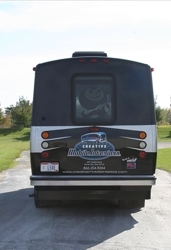 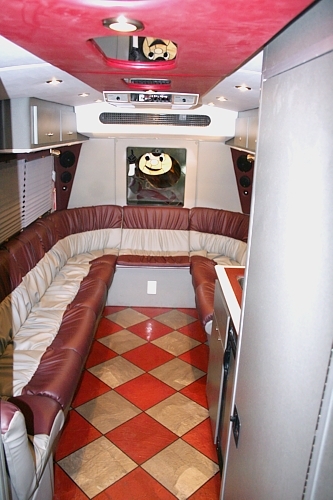 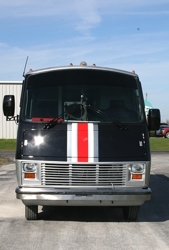 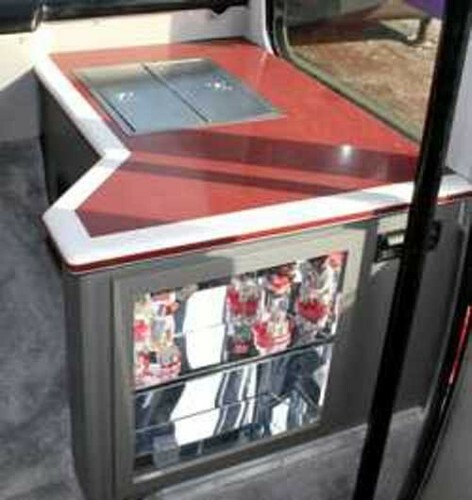 The vehicle also features a wet bar area and a large refrigerator with a ice freezer.